I was a Japanese Language learner since 2002, starting by aiming for the Japanese Language Proficiency Test (JLPT). 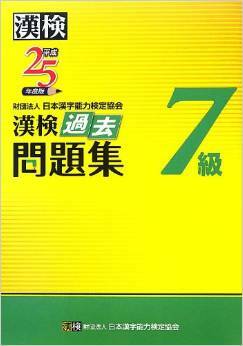 After passing the JLPT Level 2 in 2008, recently I found out about another challenges of brushing up the Kanji (chinese character) portion of japanese language. For those who don't know, Kanji Kentei Shiken or the Kanken test consist of 12 levels , and I took the Kanken level 10, 9 , 8 and recently Level 7 on 13th June 2015! Here is my Kanken Level 7 results, which was recently released. I received it on yesterday (August 5th 2015). Let's see what I got ! This test is originally designed for Japanese kids , but foreigners are all welcome to take the test at some of the test locations around the world. For my case, I took the test at Singapore. So happy !!! :-) Thumbs up ! Mission accomplished. Hmm, that's one of the favorite questions about how to pass the test. The Kanji Kentei Shiken tests the Kanji memorization, in fact the more you see and write it, the better score you will get. In fact, this is the first test I took after I visited Japan in the month of March 2015. Practice makes perfect ! Good luck to all of you ! If you are asking about available books to prepare, I would recommend some of these Kanji Kentei (Kanken Books Series) as listed below. You may find all these related books at Amazon.com or major Japanese bookstores like Kinokuniya. Where did you take the exam?